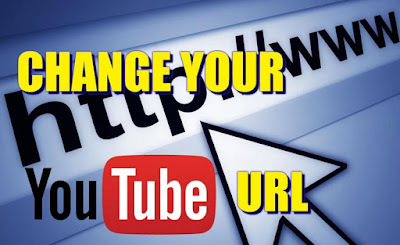 How To Change Your YouTube Account URL? Are you stuck with your YouTube account URL you picked long ago that doesn't quite capture the essence of what you do anymore? Despair not, for YouTube is giving you a way out. You can now get a new custom URL that's more befitting of your brand. This is definitely better than opening up a brand new channel, and losing all of your previous subscribers. YouTube will suggest some potential URLs for you to choose from based on your channel’s description, Google identify, and websites associated with your YouTube account. One you pick your new URL, your subscribers will be automatically redirected if they try to get to your account via the old URL. Be careful, because once you change your URL once you won’t be able to change it again, so make sure it’s one you’re fully satisfied with. You may also be able to qualify for a custom URL after linking and verifying your website with your YouTube channel. .Sign in to YouTube and navigate to the Creator Studio. .You’ll be redirected to claim a custom URL. .You’ll see the custom URL(s) you’ve been approved for. These cannot be changed. You may also need to add a few letters or numbers to make the URL unique to you. .Click the box next to “I agree to the Terms of Service” then click Change URL in the bottom left corner. .This URL will be linked to both your YouTube channel and your Google+ identity. Once your URL has been approved, you cannot request to change it. When you’re certain, click Confirm choice. After that you should be all set to reap the benefits of your new URL.